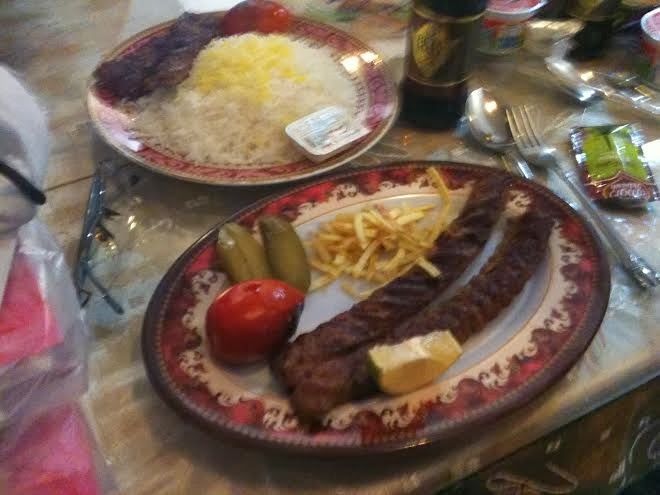 We had a nice lunch in Qom. After crossing many busy and chaotic feeling streets and crowds, it was nice to step in to an unnamed restaurant, away from the constant din from the loud speakers chants, and in a place of somewhat calm. 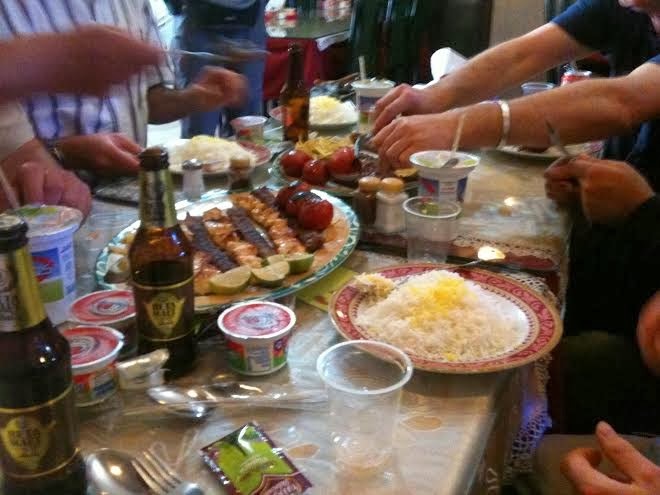 We enjoyed a lively lunch with different kinds of kabob as well as an assortment of beverages and small interesting things to eat. No, I didn't exactly care for those small crispy chips as well but the other things were really fun to eat. Our waitress was a very kind, motherly type woman. She must have taken a liking to us as she returned with a take away bag and assisted us with the left over food we didn't finish. She even gave us extra pots of yoghurt and spicy packets of something! She bid us farewell with a kind smile. That is a memory of Qom which I will probably keep for a long time.